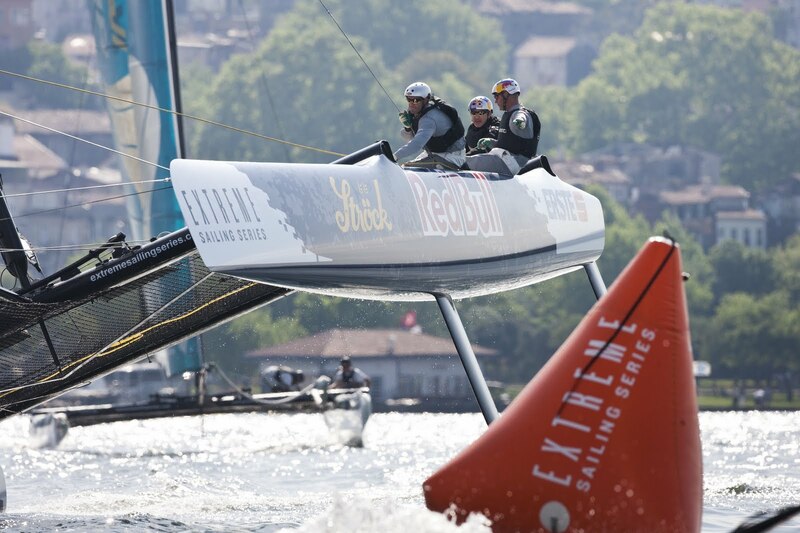 Artemis Racing came out of the blocks on fire today at the Extreme Sailing Series Act 3 in Istanbul and after seven races are leading Luna Rossa by a point followed by Alinghi. 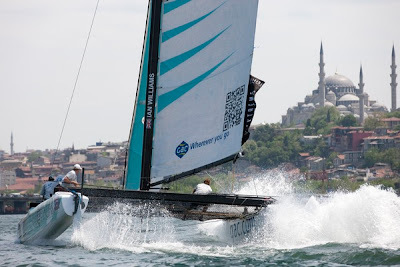 The 11 crews had their work cut out for them as they carved up short, sharp racecourses in shifty wind conditions that tested their pure muscle power and physical fitness. 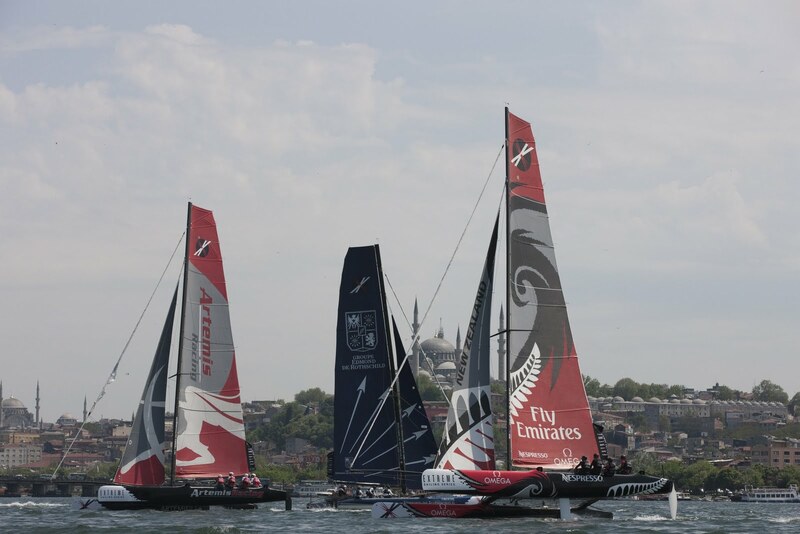 “It’s beautiful to sail here, the conditions are good with a tricky wind which is good for us,” said Luna Rossa skipper, Maxi Sirena. Apart from Luna Rossa who grabbed two gun finishes, a different team crossed the finish line first in each race. 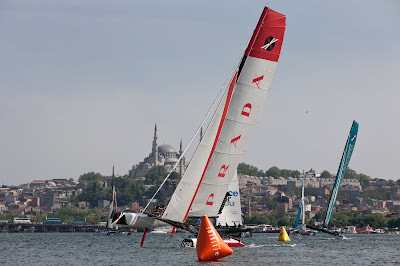 The victors included Alinghi, Emirates Team New Zealand, The Wave Muscat, Groupe Edmond de Rothschild and Team GAC Pindar. 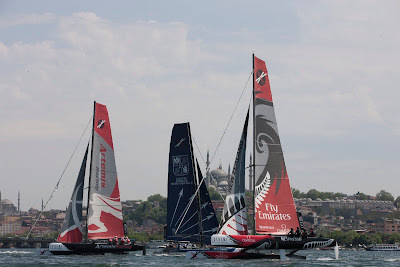 But it was Terry Hutchinson’s consistency on Artemis Racing that won the day and has them leading the point score. “I think one of the best things that we did was not get too flustered by some of the bad cards that were dealt to us, the last race was a perfect example of hanging in during the race and waiting until there was an opportunity presented to us to make our move,” Hutchinson said.